Back injuries are a common issue among athletes, especially those who compete at a high level. For example, before he retired, Olympic sprinter Usain Bolt had to take a significant amount of time off from his sport to deal with severe back pain. Professional golfer Tiger Woods also had to take time off as he underwent surgery to repair a damaged disc. You don’t have to be a professional athlete to suffer from a back injury, though. Whether you’re an amateur or a seasoned pro, it’s important to know how to treat and prevent these common back injuries. With the countdown on to the 2012 London Olympics (yesterday was one year til the opening ceremony), I’ll be starting a new series of posts looking at some of the greatest Olympians. To start off here’s a view on the best ever 100m runners. Who was or is the best ever Olympic Mens 100m Champion is not necessarily the easiest question to answer but having seen Usain Bolt take the Gold Medal in a new World Record time in the 2008 Olympic Final at the Beijing Olympic games, it is difficult to challenge that the reigning champion is the best ever, but who else must be considered? Bolt of course also took the Gold Medal in the 200m in Beijing and has since gone on and broken that world record several times. His current record of 9.58 recorded in Berlin in 2009 will be hard for even him to beat and it is why he is the favorite in the 100m Odds to win a second Olympic Gold medal next year at London 2012. The Olympic champion from the 2000 Games in Sydney, Maurice Greene was an outstanding champion in his own right. He was a world record holder during his heyday and also won two 100m world championships in Athens and Seville. Tyson Gay stands alone as Bolt and Powell throw in the towel. It was supposed to have been the climactic finale – the mouth-watering replay of 2009’s World Championship 100-meter dash in Berlin. 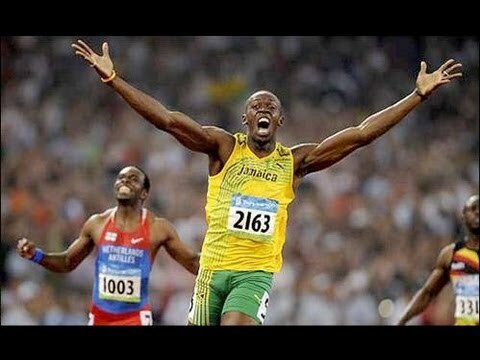 The one where Usain Bolt obliterated his own amazing 9.69 world record from Beijing, 2008. 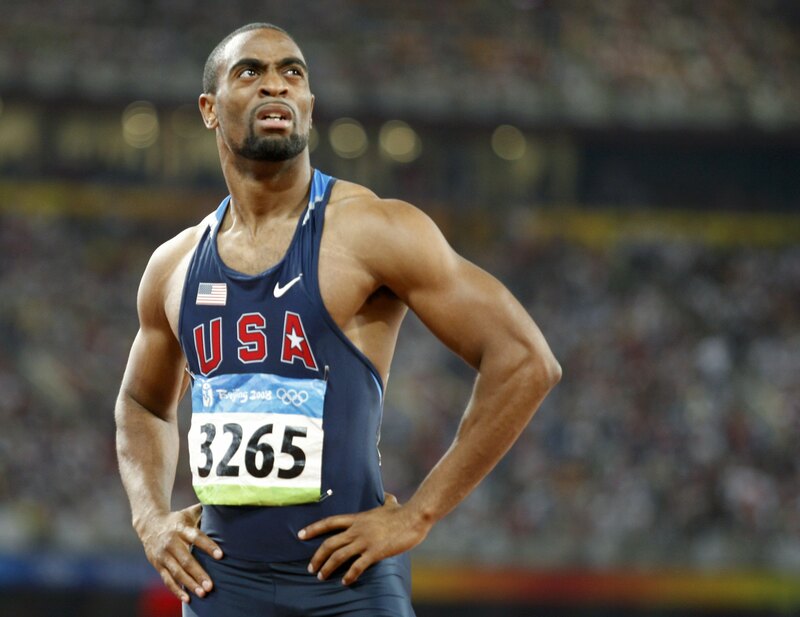 The one where Tyson Gay and Asafa Powell, the world’s next fastest sprinters ever, were sucked along in Bolt’s draft to post incredible yet inadequate times of their own (9.71 and 9.84). The one which catapulted Bolt into stratospheric realms, beyond the reach of mere humanity. Later in 2009, Gay established a new American record (9.69) in Shanghai in a race he described as “not technically good”. The 2010 season has been the quadrennial “down year” with no global championships, thus many athletes have used 2010 as a year to retreat from intensive training regimens to rest and heal. The new Diamond League series of 14 international meets was launched, promising track and field fans multiple head-to-head showdowns. While there were several extremely talent-laden meets and exceptional performances, many of the elite match-ups failed to materialize because of the down year or debilitating injuries. 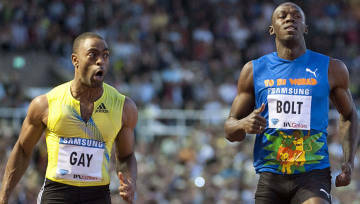 Gay beat Powell in Gateshead, beat Bolt in Stockholm, and established the season’s best time (9.78) in London. Bolt and Powell have since shut down their seasons, citing lower back (some say spine) problems. 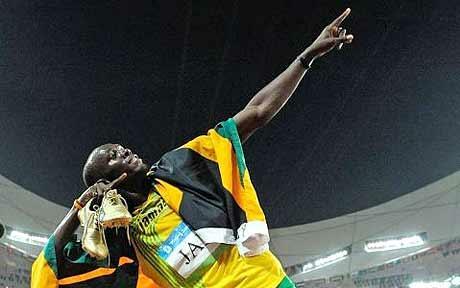 Like the elusive butterfly, Usain Bolt fluttered about the cosmic regions just beyond the reach of mere humanity. His fame and image took on such lofty levels after his utter demolition of two world records* – not once, but twice. All along, Bolt had shunned his public deification, insisting he could be beaten, if only on a bad day. Ever the realist, Bolt again left a thin crack in the door, saying 2010 would be his rivals’ best chance at an upset. His primary focus would be on 2011 (World Championships) and 2012 (Olympics).